The results of the poll are in. 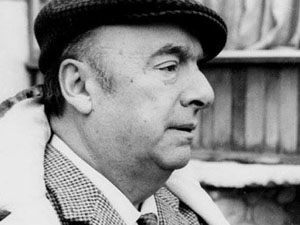 Pablo Neruda’s quote “Let us forget with generosity those who cannot love us.” was the run-away winner with 40% of the votes. Pablo Neruda‘s words must be taken with respect. He is after all one of the foremost writers of the 20th century, and won the Nobel Prize for Literature in 1971. Neruda wrote a lot about love and relationships — not just romantic relationships either. He wrote about families, friends, and his countrymen. Let’s take a look at one of his famous quotes. I don’t pretend to be a literary scholar in my interpretations of his writing. Nevertheless, I would like to share some thoughts based on my own experience and understanding — the filter of my own perceptions. “Let” is a good start. The theme of this blog is letting go and moving on after all. So the quote starts with release and openness. “Us”: Neruda is addressing an audience rather than just himself or a single friend or acquaintance. He is giving advice to his readers. “Forget”, hmmm… I wonder what the original Spanish is. Forget seems a little harsh by itself but when modified by “with generosity” becomes a little more gentle. “Forget with generosity” to me means let go of or release with kindness. To forget is to ignore to some extent and I don’t think this is what Neruda meant. Isn’t it better to remember with kindness and compassion? Isn’t willful forgetfulness a sort of rejection and aggression? Even when generosity is added the words have a harshness to them, perhaps even a tinge of hurt. “Those who cannot love us” could cover a huge number of people. I assume, though, that Neruda means specific people who know us or have known us. Either way it seems the only really sane way to deal with those who cannot love us (and even people in general now that I think of it) is to love them anyway. If you love then there is no harm to the other person[s] and at the same time your inner life is hugely enriched. Such is the way of sages and saints anyway. « Love Hurts: Love Advice for the Broken Hearted by Lynne Namka, Ed. D.